Feeling depressed once a while is normal. A case of the blues has inspired many a beautiful song. While many artists benefit from the creativity that manic / depressive swings can bring, in most cases deep depression is truly tragic and non-productive. Bouncing back from losing is a major part of life. Depressing events – like a streak of bad luck, a loss of face and self-esteem are opportunities to grow and should be character building. 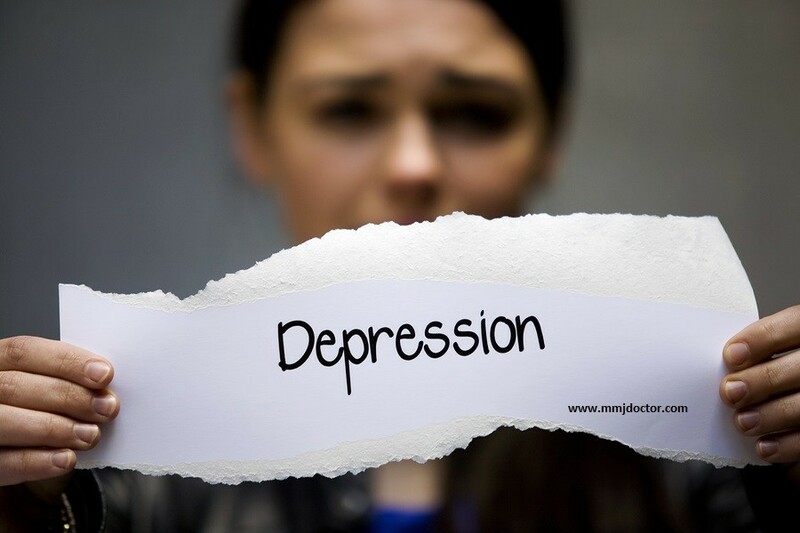 Clinical Depression, however is quite different. When intense feelings of sadness, helplessness, hopelessness, worthlessness just won’t let up – over long periods – therapy has to be considered. Thankfully there is hope. New and old Marijuana based medicines offer profound relief to many without the horrendous side effects of today’s prescription drugs. For some people, shaking depression is about as easy as climbing Mount Everest – with a 100 pound backpack – wearing sandals. Clinical depression can be caused by real or imagined events – often accompanied by biochemical imbalance. Biochemical imbalances are tough to treat because the entire genome, lifestyle and psychological profile are intertwined to create basic impulses which govern disposition and behavior in almost everyone. In clinical conditions, sufferers often lose their perspective on life and rationalize their aberrant behavior as justified or even enlightened. Such is the peculiar nature and horror of mental illness. Chemicals, prescription and recreational drugs, alcohol, lifestyle and chronic stress are all leading contributing factors. Neuroscientists have found that chemicals – called endocannabinoids – in the brain and body generate feelings, work similarly to molecules found in Marijuana. In countless studies worldwide, the main components of Medical Marijuana – THC and CBD – have been found to safely and effectively alleviate depression and stress. Medical Cannabis has side effects too. A fraction of patients experience temporary psychosis, resembling schizophrenia if smoke too much pot that is high in THC. For these sensitive individuals, Cannabis strains and extracts low in THC (psychoactive) and high in CBD provide effective relief – without a high – without psychosis. MMJ DOCTOR: Feel free to ask us any questions about about your needs here. Licensed Medical Cannabis doctors will evaluate you for medical marijuana during in-person evaluation . Schedule your appointment here.